Hello again from Steph @ The Silly Pearl! 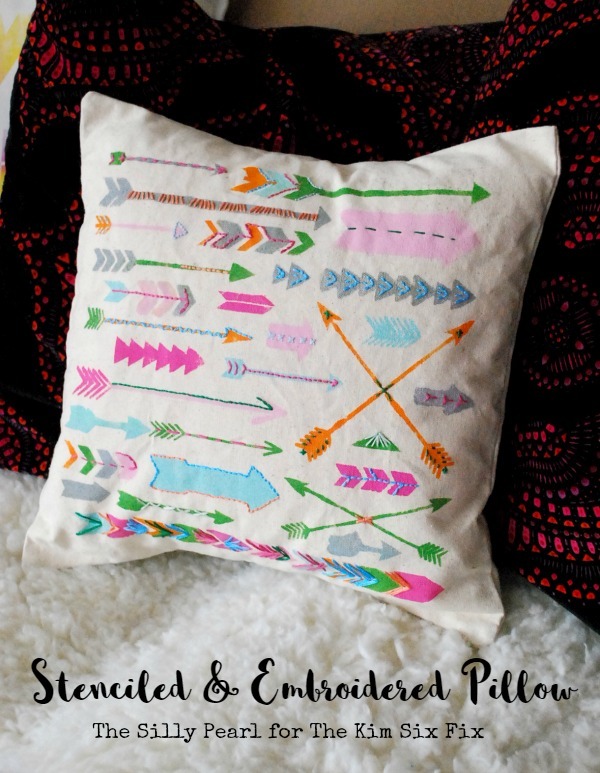 I have an easy tutorial today to make a stenciled and embroidered pillow. 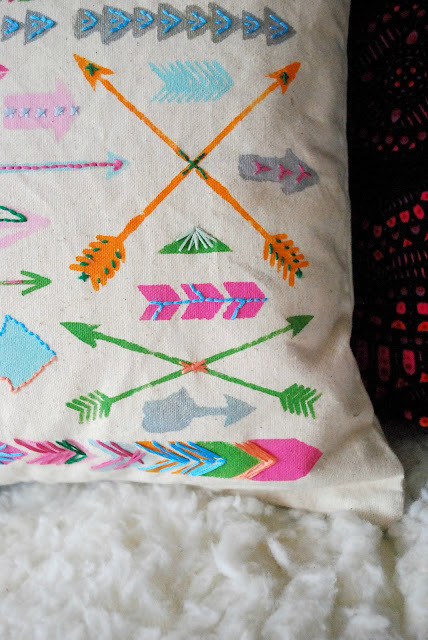 I really had fun creating this pillow, with all of the colors and patterns, and it was so quick to make as well. Here's the how-to! 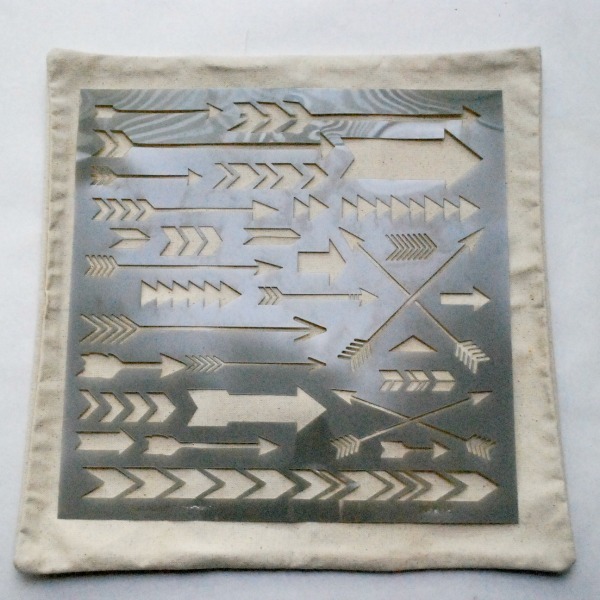 You can use any stencil you like, but I had this arrow stencil on hand. 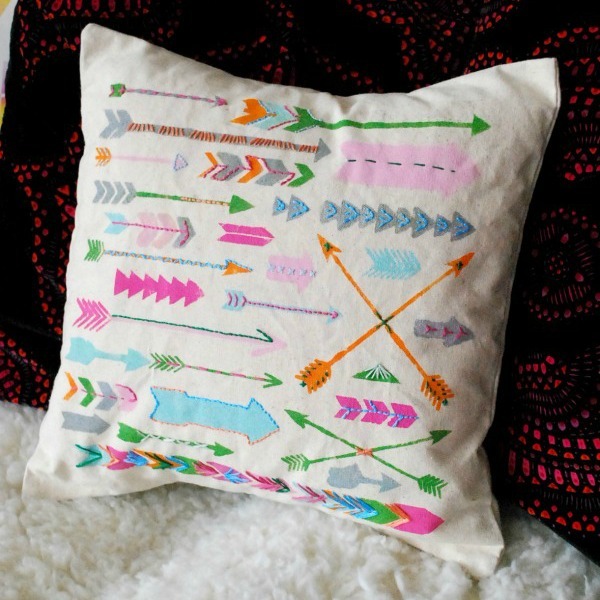 It fit perfectly in the middle of my pillow case and I loved how the arrows were arranged. This made my project go even quicker. Pick out your paints - you can use just one color or many. I mixed my acrylic paint with fabric medium so it would have a softer texture on the fabric. I taped down the edge of my stencil with painters tape. 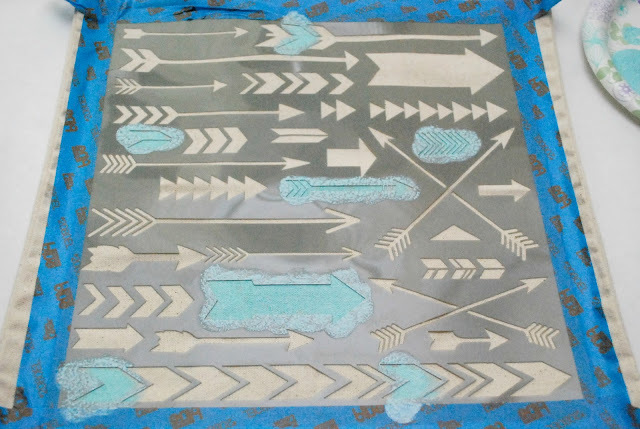 Then with my first color, I stenciled in random places on my stencil. I chose six colors total and stenciled in random places until I covered the entire stencil, and peeled off the stencil. When the paint dried, I inserted the front of the pillow cover into an embroidery hoop. 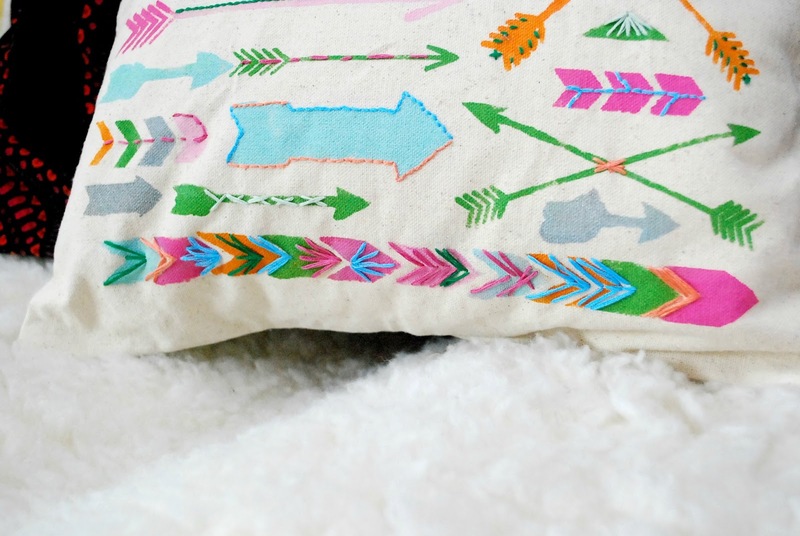 Make sure you don't catch any of the back of the pillow cover, as you'll be stitching through the opening of the pillow cover. Then I threaded my embroidery needle with three strands of embroidery floss, but I doubled it so I was sewing with six threads. 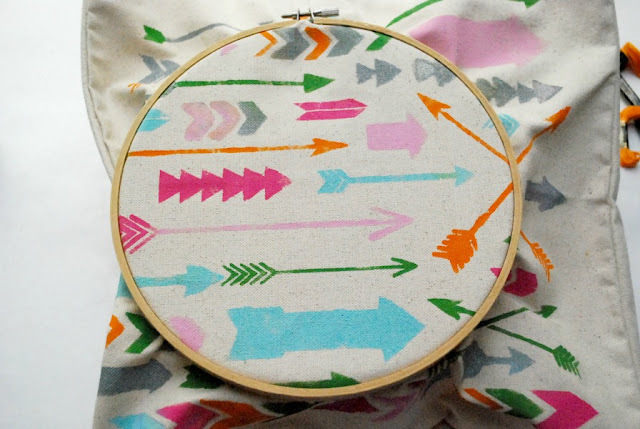 Then I chose one of the arrows that was in a contrasting color to my thread, and just began stitching. 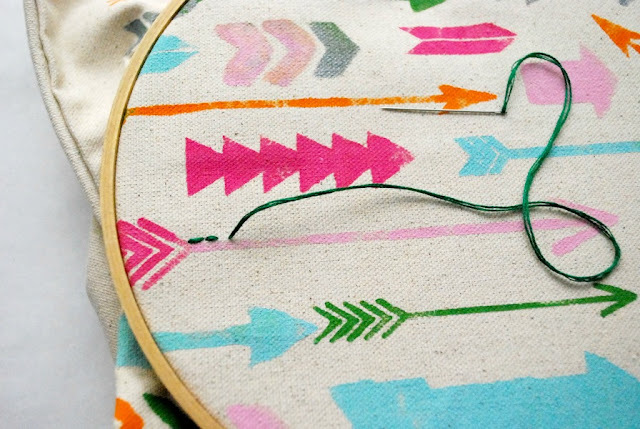 In this first arrow, I am simply doing a back stitch. This was really the fun part because I did different types (but easy) stitches all over, in contrasting colors. 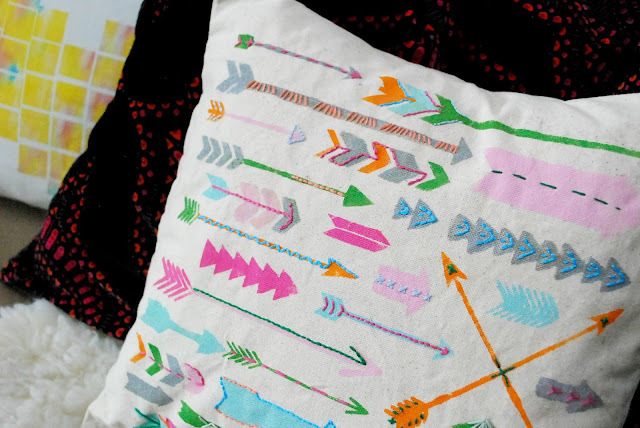 I didn't embroider every single arrow. When I finished, I inserted my pillow form. All done! Here are some close-ups of the stitches I did. My stitches were all very simple, but random, and I used the shape of the arrows as inspiration. I really wanted to keep embroidering! It was so fun as well as relaxing. And I love the additional texture and pattern the stitches added. I'll be doing this again for sure, maybe on a tote! 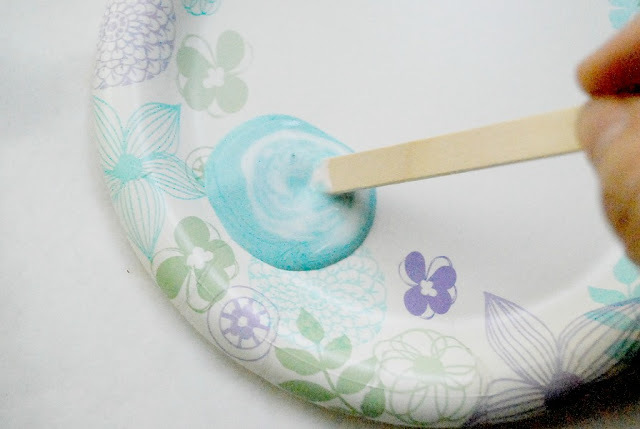 Hope you'll stop by my blog, The Silly Pearl, for more crafts and DIYs! And as always, thanks so much to Kim for having me on the blog again today and I'll see you all again soon!